EURid, the .EU registry, has timed out two scenarios: in case of a no deal (Scenario 1) and in the event of an agreement between Great Britain and the European Union (Scenario 2). The latter would not start before 31 December 2020. The political context gives Scenario 1 an urgency that requires vigilance and anticipation. Before proceeding with the Scenario 1 calendar, let’s recall the documents necessary to understand the legal issues that arise. (iii) natural person resident within the Community“”. (iv) an organisation established within the Union without prejudice to the application of national law“. In other words, the extension of the scope of eligibility concerns primarily the European Union citizens residing outside the Union’s borders. As a result, established legal persons or natural persons residing in Great Britain or Gibraltar would not be eligible. The inclusion of Great Britain and Gibraltar in the scope of eligibility is all the less conceivable as the European Parliament, the Council, and the European Commission already reached an agreement on the new rules for the .EU top-level domain. Above all, it is not in the spirit of the regulation to extend eligibility beyond the criteria of the European citizenship or establishment in a member state of the European Union or the European Economic Area. On March 23, 2019, as of 00:00 CET — EURid will notify by email both Great Britain/Gibraltar .EU domain names holders and their registrars about the forthcoming non-compliance of the data associated to their domain name within the .eu regulatory framework. As of 30 March 2019 as of 00:00 CET — EURid will again notify by email both GB/GI registrants and their registrars that their domain names are not in compliance with the .EU regulatory framework. Until 30 May 30, as of 00:00 CET — Registrants will be given the possibility to demonstrate their compliance with the .EU regulatory framework by updating their contact data. Between 30 March 2019 and 30 May 2019, the domain names will remain active. .EU domain names holders will then have to provide the address of a legally established entity in one of the E.U. Member States or the E.E.E. (option 1) (see advice #1 below) or change the place of residence (option 2). Name server and DNSSEC changes. renew the domain names that are expected to expire between 30 March 2019 and 30 May 2019. These domain names will be withdrawn (advice #3). Domain names subject to legal proceedings will remain registered until a decision has been registered. However, they will be suspended and will cease to operate as of 30 May 2019. If the decision orders a transfer to an eligible party, this will not pose any difficulty. On the other hand, if it is considered that the domain name must remain in the assets of an established legal person or of a natural person residing in Great Britain or in Gibraltar, the domain name will be withdrawn (advice #4). As of 30 May 2019, 00:00 CET — Anyone who has not demonstrated eligibility will be considered ineligible and their domain names will be withdrawn so that they will cease to function. 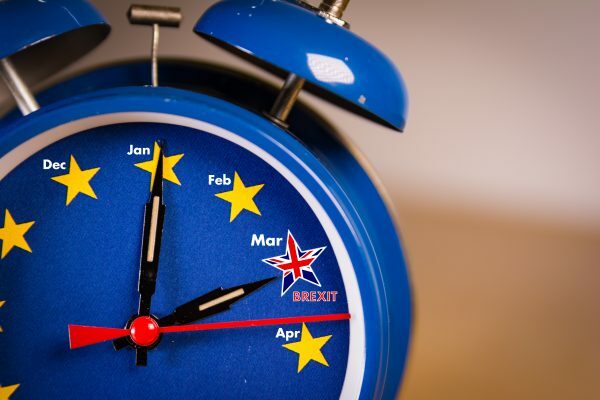 As of 30 March 2020, 00:00 CET — Twelve months after the official Brexit date, all domain names will be made available to any eligible person. provide for the technical transfer of the domain name if an agreement between the European Union and the United Kingdom allows it, or if, on the occasion of a further revision of Regulation 733/2002, the scope of eligibility is widened enough to include established corporations and natural persons residing in Great Britain or Gibraltar. However, this last option seems unlikely. IP Twins offers legal entities and individuals residing in Great Britain or Gibraltar the management of their domain names. Do not hesitate to contact us. Advice #2 —.EU domain names holders will be able to transfer their domain names for free or for a fee only to eligible natural or legal persons. Buyers should not wait too long to identify, among the domain names concerned, those that are likely to increase the value of their domain names portfolio before they are made available to all eligible persons, ie 30 March 2020. Advice #3 — If the domain names are expected to expire between 30 March 2019, and 30 May 2019, it will be important to proceed with the transfer (whatever on a merely technical or ownership basis) before the expiry date/time. Otherwise, the domain name will be withdrawn. “To Sell or not to sell?” : IP Twins advises and assists you in the acquisition and sale of domain names. Advice #4 — If a domain name is the subject of a legal proceeding, the parties should consider a negotiation or mediation in the hope of reaching a consensus on time. IP Twins can help you imagine alternative solutions.